Frank Zuccarelli, is a Vice President and Relationship Manager at Meyer Capital Group. Frank serves on various teams including the Investment Committee. His focus is on establishing strong relationships with new clients while nurturing those of existing clients. He is motivated to help everyone secure their optimal financial futures by matching their financial goals to the appropriate investment strategy. Prior to joining MCG in 2000, Frank worked at Conrail and held various positions in the Finance Department including Director - Investor Relations, Manager Banking and Manager Credit. 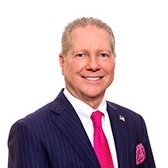 His education includes a Master of Business Administration in Finance from Drexel University and a Bachelor of Science in Accounting from St. Joseph’s University. Frank holds the FINRA Series 65 license. Frank loves sports especially baseball and golf. Valuing family above all else, Frank enjoys the time he spends with his wife and family at the beach.